It is not always best to visit Mill Hill in the mornings, but. Peacock Butterflies were frequently seen (15+) on plentiful flowering Marjoram and Hemp Agrimony on the middle slopes with Red Admirals, Gatekeepers and Meadow Browns. . Typically, flitting from one stem head to another my first pristine Brown Argus of the year showed amongst the Marjoram to the north of the Triangle area of the middle slopes of Mill Hill Nature Reserve. It was accompanied by a fresh male Common Blue. Two more Adonis Blues fluttered over the Horseshoe Vetch on the middle slopes Triangle area, but the sun had gone behind the cloud by I had reached the top of the hill and all the butterflies were now hidden. In contrast to the lower slopes the amount of Horseshoe Vetch, Hippocrepis comosa, in the Triangle are of the middle slopes was as luxurious as usual. Eyebright poked their pretty little flowers up from a clump of Bird's Foot Trefoil leaves on an ant's mound in the Triangle middle slopes of Mill Hill. Dogwood was noted in flower in the Triangle area of the middle slopes with long shoots coming up from the previously cleared ground. A Marjoram patch north of the Triangle area of the middle slopes has proved rich in butterflies including hosting three of the fourteen Wall Browns seen on Mill Hill as well as occasional Brown Argus. 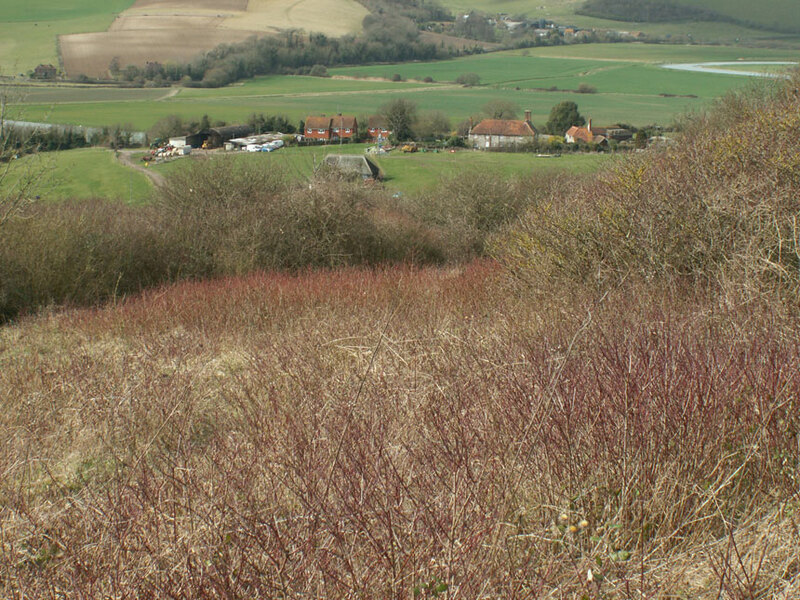 It was in this area I spotted my first Small Copper on Mill Hill this year. It was in a worn condition. Silver Y Moths and Six-spotted Burnet Moths were noted. 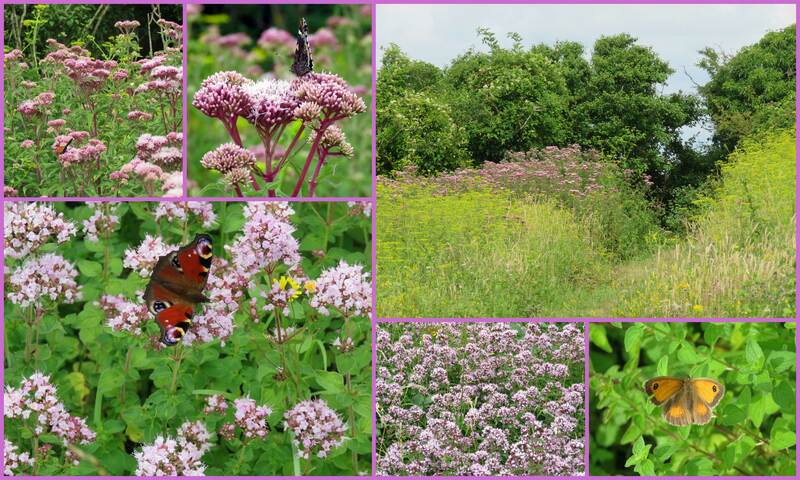 The most interesting area was the west side of the Triangle on the middle slopes, an area rich in flowering Marjoram. Immediately a few Brown Argus were seen flying around with frequent male Common Blues, frequent Six-spotted Burnet Moths, a large orange butterfly that I caught sight off flying like a fritillary in a typically loping style, but it was probably a Comma Butterfly (later thought to be another Wall Brown), a Wall Brown and a Brimstone Butterfly. Marjoram was seen in flower in the Triangle middle slopes area of Mill Hill and this was the first for this year and the first time I noted this plant on Mill Hill. On the middle slopes, in the Triangle area, Bird's Foot Trefoil was flowering in swathes but not in as large swathes bordering the worn paths as previous years. 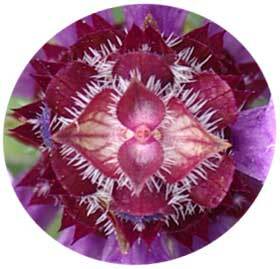 The first flowering Field Scabious of the year was seen in this area. My first Wall Brown Butterfly of 2008 and my first Red Damselfly were both seen near and in the copse of Mill Hill. This was on and around the path north-east corner of the Triangle area. Three Holly Blue Butterflies fluttered around the low lying scrub on the middle slopes of Mill Hill. Early growths of Dogwood on the Triangle meadow area on the middle slopes section of Mill Hill, west of the upper car park. Old Erringham Farm is in the background. 18 Common Blue Butterflies were bright but not pristine in the middle area of Mill Hill, most of them congregating to the north of the Triangle area and only a few in the top meadow. 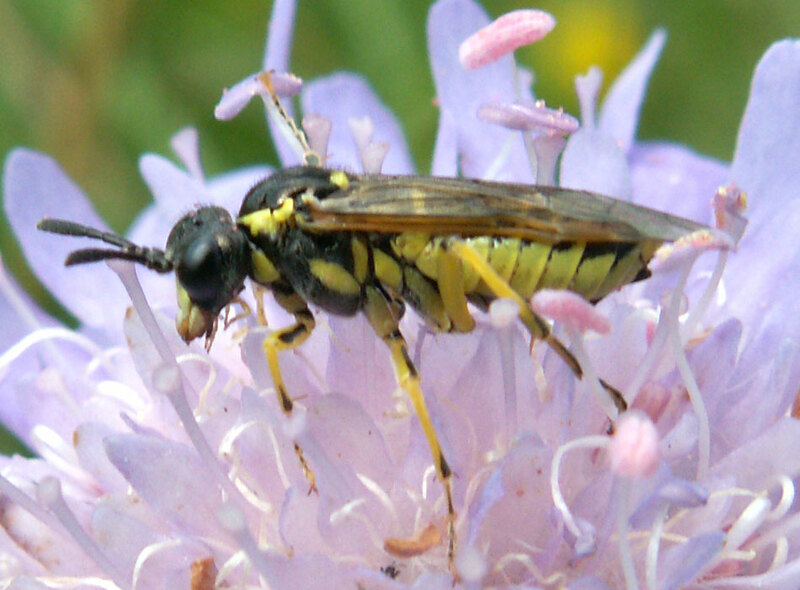 This Rhogogaster sawfly was seen on Field Scabious in the central Triangle area of Mill Hill. The Common Lizard was seen under a piece of roofing felt on Mill Hill. This time it was not so plump. At the second sighting it was seen to have lost a large part of its tail by autonomy. A Common Lizard was seen under a piece of roofing felt deliberately laid down in the central mixed scrub and grass area (north of the Triangle) near the northern perimeter of Mill Hill. Its middle was plump, presumably with its viviparous young. 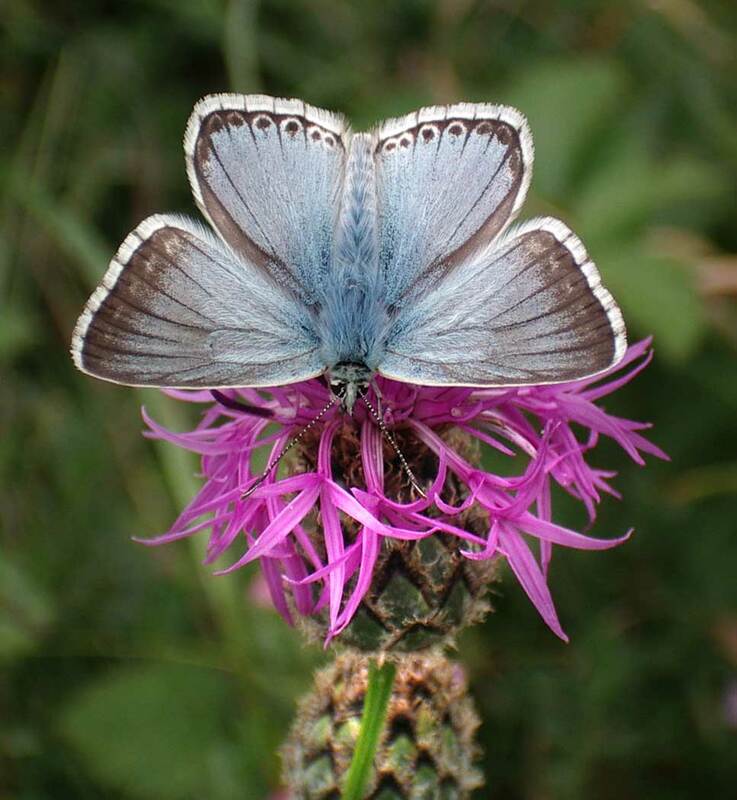 All three of the local downs blue butterflies were seen immediately, and on a rapid passage visit I noticed a dozen Common Blues, five Adonis Blues and three Chalkhill Blues, but there were probably more of all three species. Near the path (illustrated below) all three species were sparring. The first second brood male Adonis Blue was seen on Mill Hill sparring with Common Blue Butterflies and Chalkhill Blue Butterflies in the Triangle section of Mill Hill near where the path (formed by human disturbance where the flora is short grass) weaves through the Eyebright and leaves of Horseshoe Vetch and Bird's Foot Trefoil. 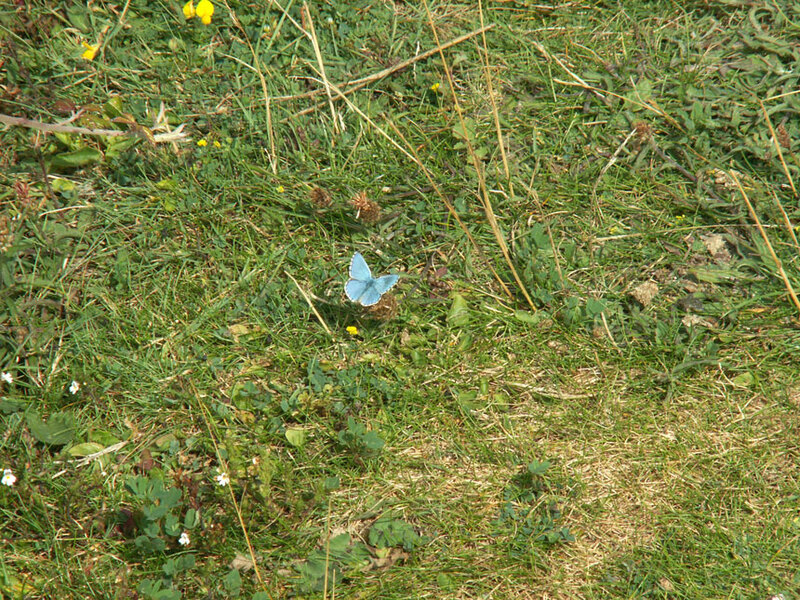 The Adonis Blue actually settled on the grass path as shown in the photograph on the right. Brown Argus Butterflies (12+) were present. Common Blue Butterflies outnumbered Chalkhill Blue Butterflies (10+) in this area. The small Brown Argus Butterfly was first seen and confirmed for this year in the Triangle middle section of Mill Hill, with a handful of them actually seen, but there could have been more. There was a lively Wall Brown as well. More Chalkhill Blue Butterflies fluttered around, probably about a dozen. Scabious was in flower. Ten Chalkhill Blue Butterflies are recorded from the middle area of Mill Hill, mostly from the Triangle. Seven Marbled White Butterflies were recorded from the middle part of Mill Hill and most of them must have come from this area. Other butterflies were not recorded specifically to location, but there must be Gatekeepers and Meadow Browns. Marbled White Butterflies were recorded from this area. The hoverfly Rhingia campestris fed on Greater Knapweed on the middle Triangle area of Mill Hill. Dogwood was sprouting up and looked capable of invading this area. There was one Kidney Vetch flower seen on the Triangle section of Mill Hill. 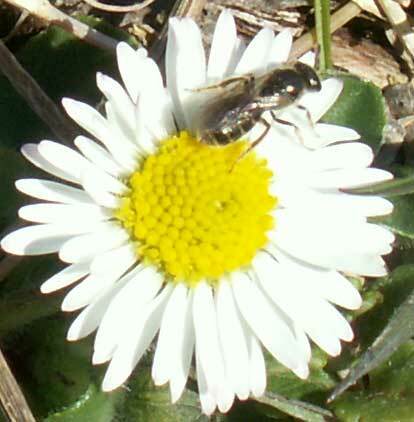 This looks like a tiny bee on a Daisy. There were probably at least two more on a Dandelion in the middle Triangle area of Mill Hill. 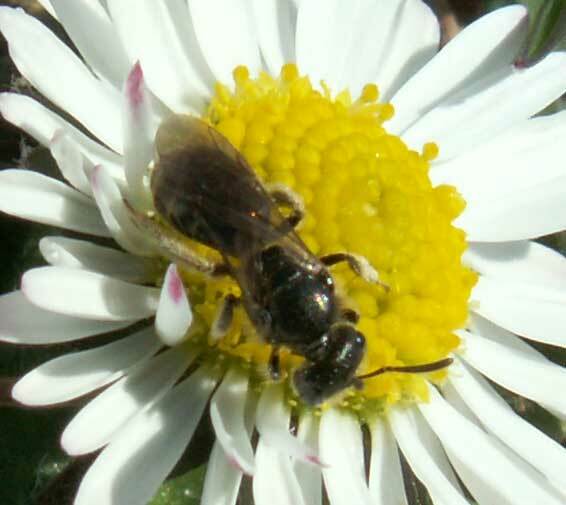 Could it be Lasioglossum calceatum. 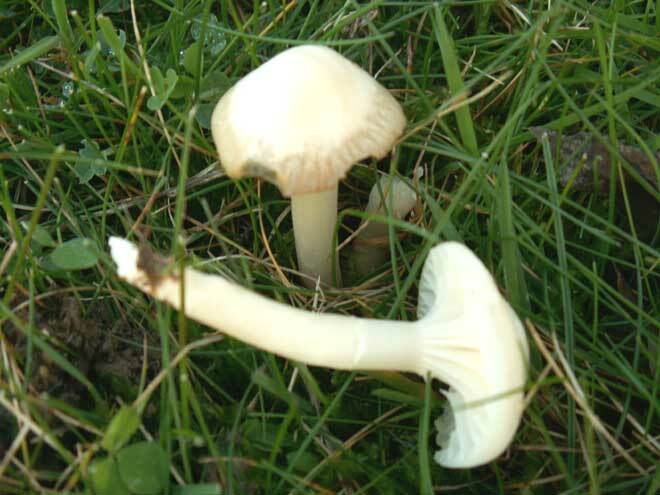 In the Triangle area (middle slopes) there were over a dozen small mushrooms called the Pale Wax Cap, Hygrocybe berkeleyi, (known on the British Mycological List as Hygrocybe pratensis var pallida) near the seat. 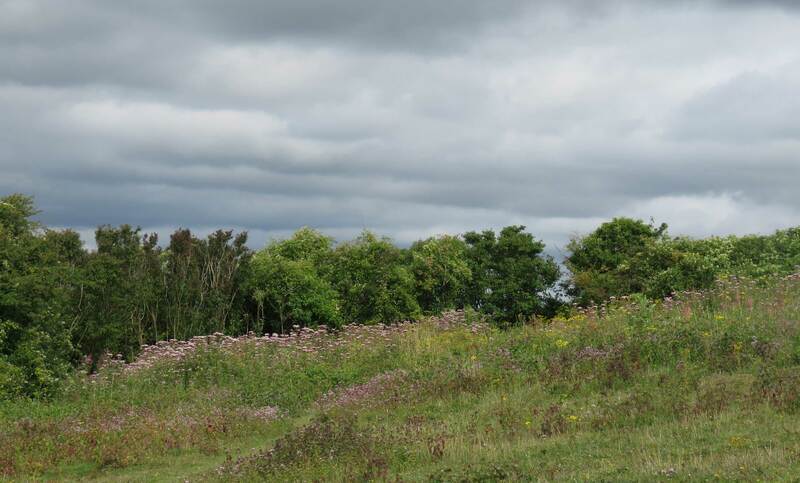 Twenty Chalkhill Blues and seven Common Blue Butterflies were recorded from this area. There were nine Chalkhill Blue Butterflies counted amonst the leaves of Horseshoe Vetch and Cleavers and they seemed fresh and may have just emerged as they were not so flighty as the ones on the lower slopes, and even remained still enough for a photograph (right). There was one Marbled White, a handful of Meadow Browns and a half dozen Gatekeepers. Two Marbled White Butterflies fluttered over the long grasses. Pyramidal Orchids and Field Scabious were noted, but the Bird's Foot Trefoil was exiguous this year. The only Small Tortoiseshell Butterfly of the day was seen at the north-east approaches to the copse at the top. At least two Meadow Brown Butterflies fluttered over the grasses in a passage visit. A single Kidney Vetch flower was recorded for the first time on Mill Hill in the Triangle area. The original patch has now merged into the general vegetation. Bird's Foot Trefoil is rather scantily flowering compared to previous years.